Changes in the workplace today mean that real estate managers must give careful attention to creating a more productive – and efficient – work environment. It’s about finding the right balance between employee needs and real estate costs. 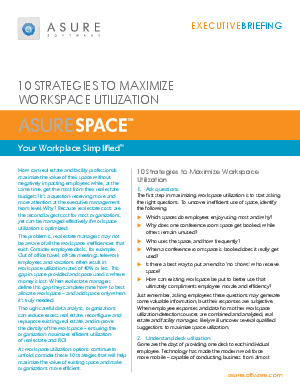 If organizations approach the transformation with intent – surveying employees, tracking occupancy and analyzing the data, and making the necessary adjustments – a more collaborative, productive workforce will emerge, management will appreciate the effectiveness and efficiency of the workspace, and real estate and facility managers will be the rock stars who made the workspace a model to emulate.